In 2014, the Wisconsin Society for Ornithology (WSO) celebrated a major milestone – our 75th anniversary as an organization. For 75 years, WSO has been one of the largest and most active ornithological organizations in the nation, and our accomplishments have been impressive. Throughout our history, we have sponsored birding field trips, hosted annual conventions, published a quarterly journal and monthly newsletter, sponsored research grants, supported the conservation of bird populations and habitats, documented and evaluated rare bird records, and provided countless opportunities for people to enjoy Wisconsin's birds. WSO began in 1939 with the mission:"...stimulate interest and promote the study of the birds of Wisconsin, especially in the field, and to bring together and permanently record accurate and authentic data relative thereto..."
The decades of 1940s through 1960s focused on, but were not limited to, avian education, research, and conservation practices. Our Education Committee was formed - offering field trips and campouts, teaching bird awareness, and identification skills. The incomparable Fred and Fran Hamerstrom brought the Greater Prairie Chicken decline to the forefront of conservation concerns. Realizing the need to embrace species protection, WSO revised its "Statement of Purpose" to reflect conservation activities. Moving into the 70s, 80s and 90s, our focus included reducing hazards to birds, expanding the number of scientific papers and reports, and taking the lead in developing and publishing the state's first breeding bird atlas. WSO filed a lawsuit to stop the "pole-trapping" of birds of prey. Life-long WSO member and the "dean" of Wisconsin birds, the Rev. Samuel Robbins, Jr., published his seminal work, "Wisconsin Birdlife, Population and Distribution," an encyclopedic documentation of the state's history, abundance and habitat of every species recorded in Wisconsin. Also, we launched our first website, reaching a larger audience and furthering our mission. Recently, we have adopted a new strategic plan. Our mission: "to promote the enjoyment, study and conservation of Wisconsin's birds." As our conservation and education efforts expand, so has our need for funding. We have engaged in multiple fundraising campaigns to meet our challenges. 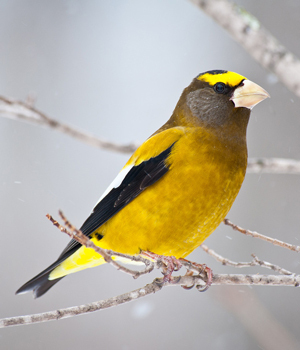 We are also a key partner in creating the Wisconsin Breeding Bird Atlas II, a statewide, comprehensive survey that documents the distribution and abundance of our breeding birds. As we contemplate our accomplishments over 75 years, we are proud that our innovative and scientifically- based activities reflect the pioneer thinking that first gave rise to WSO.